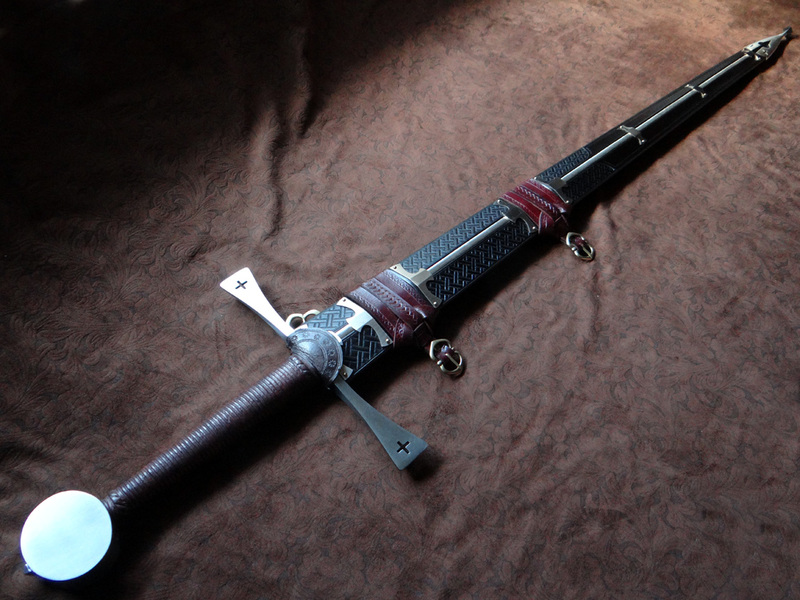 This scabbard is highly unique and a real eye catcher. 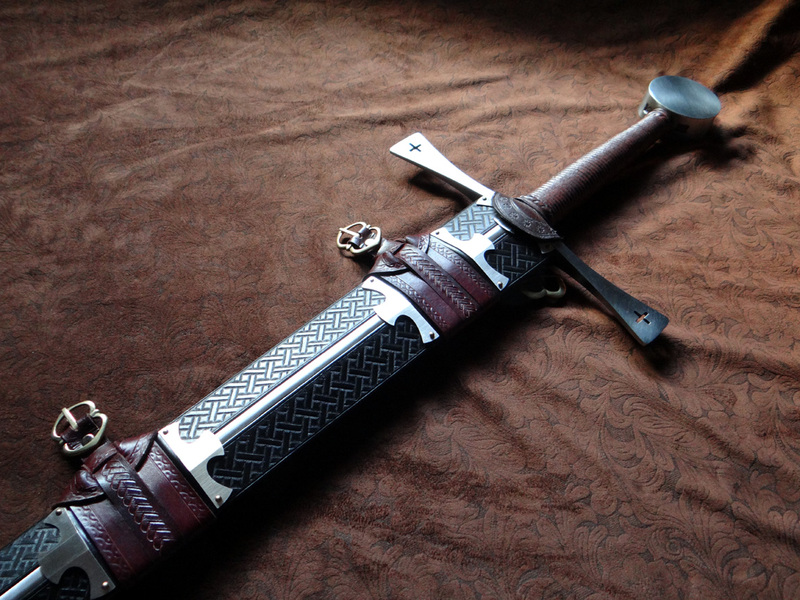 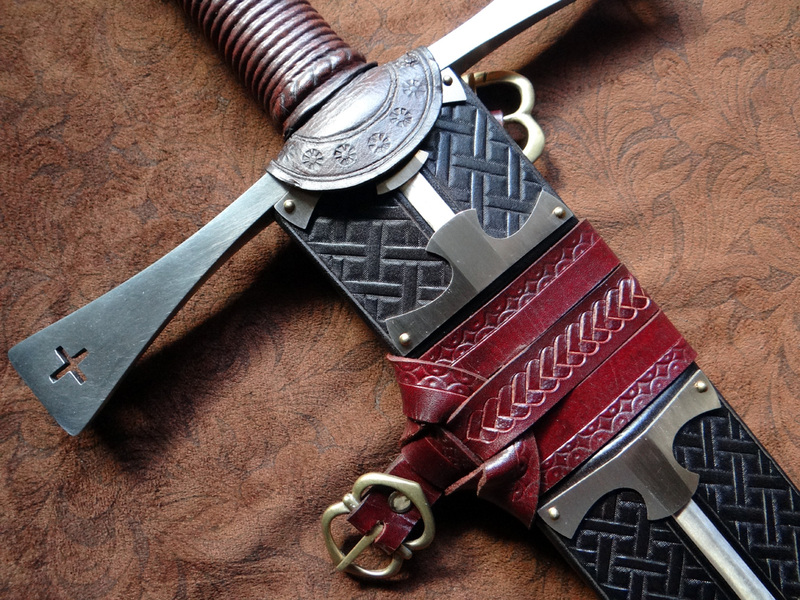 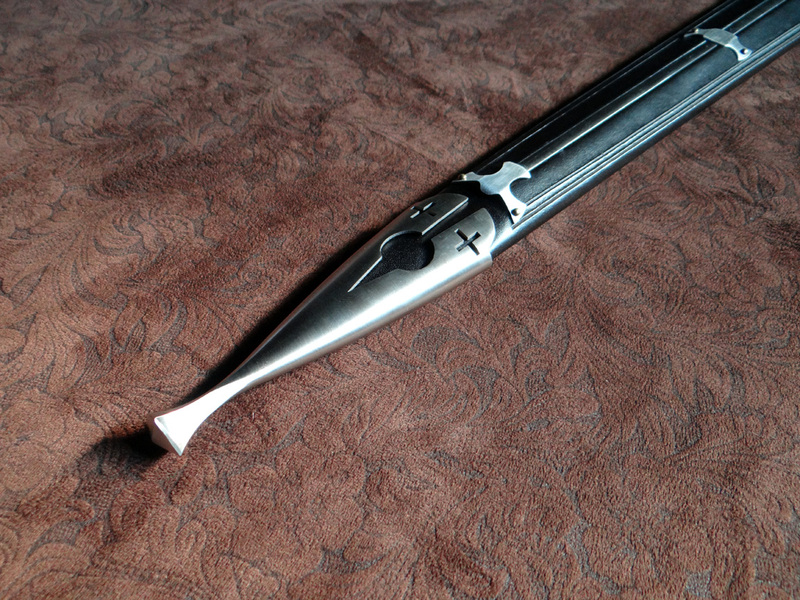 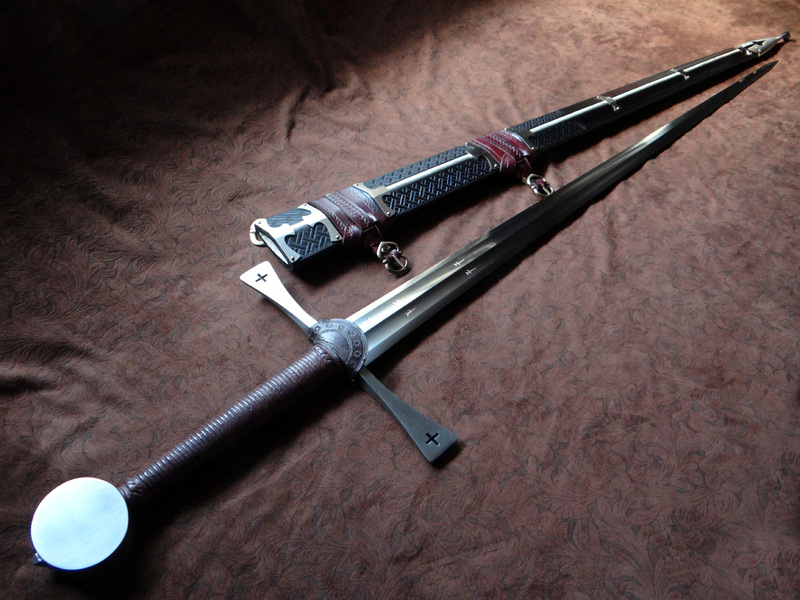 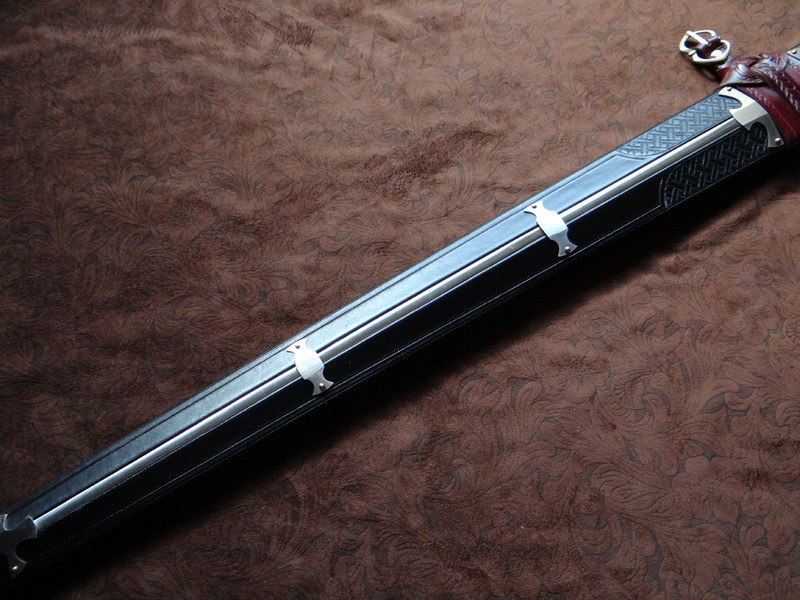 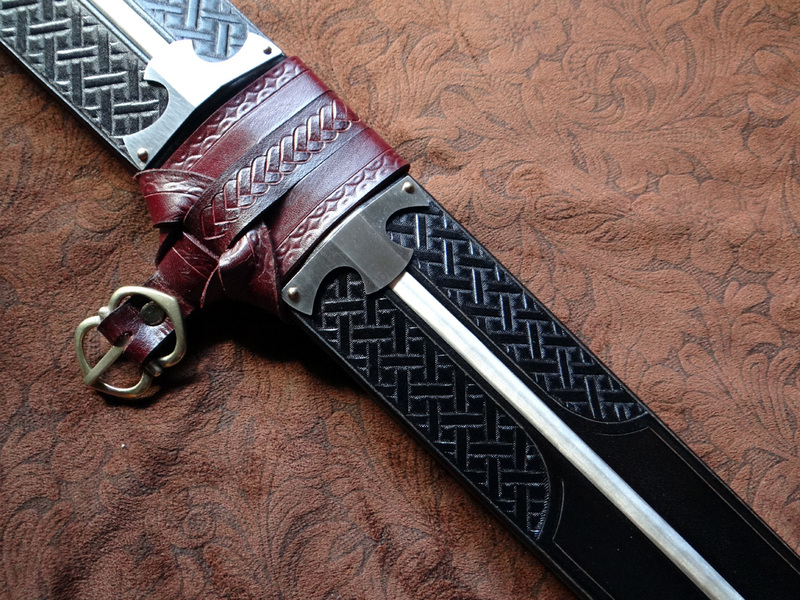 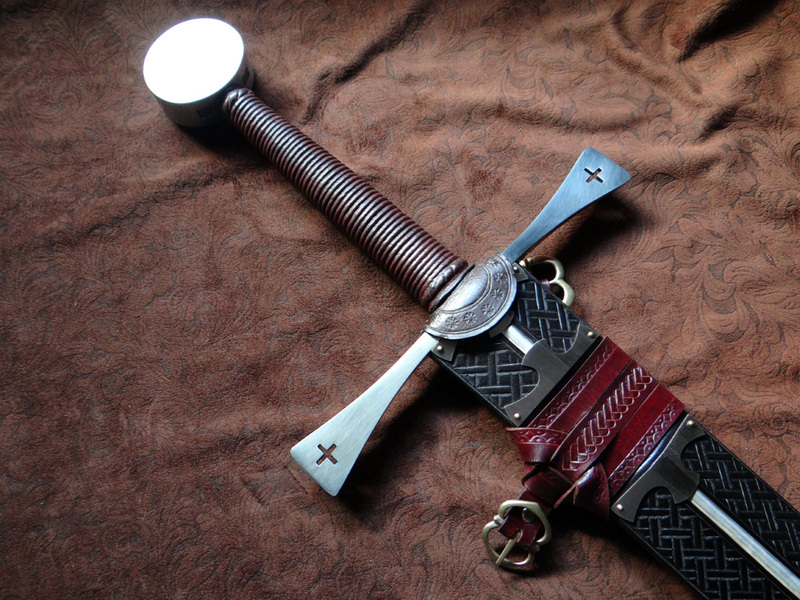 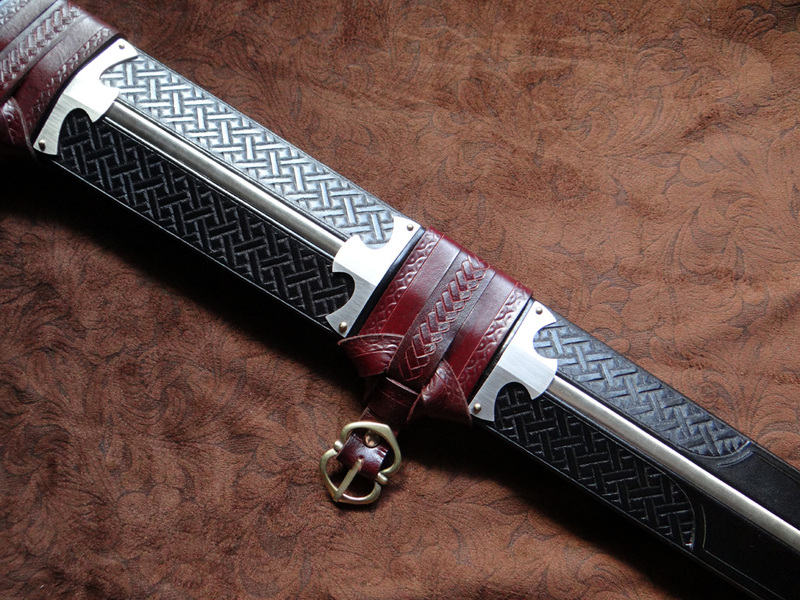 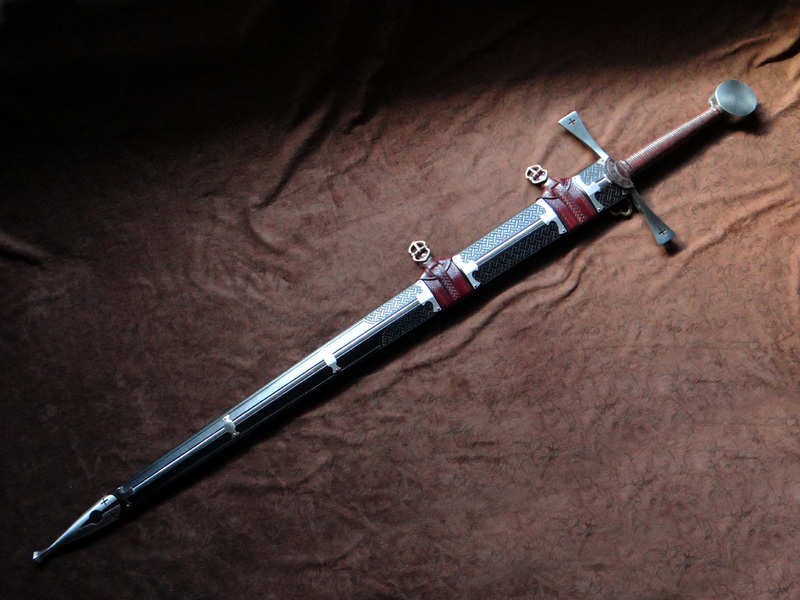 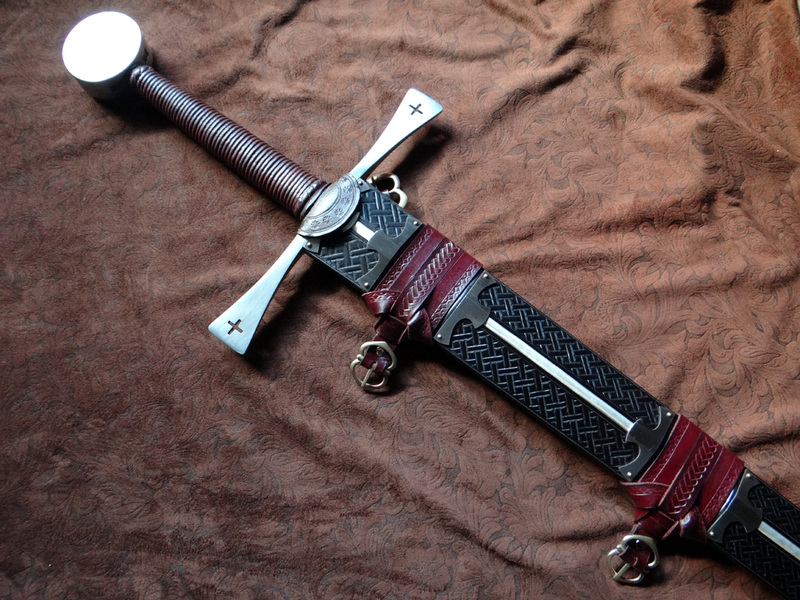 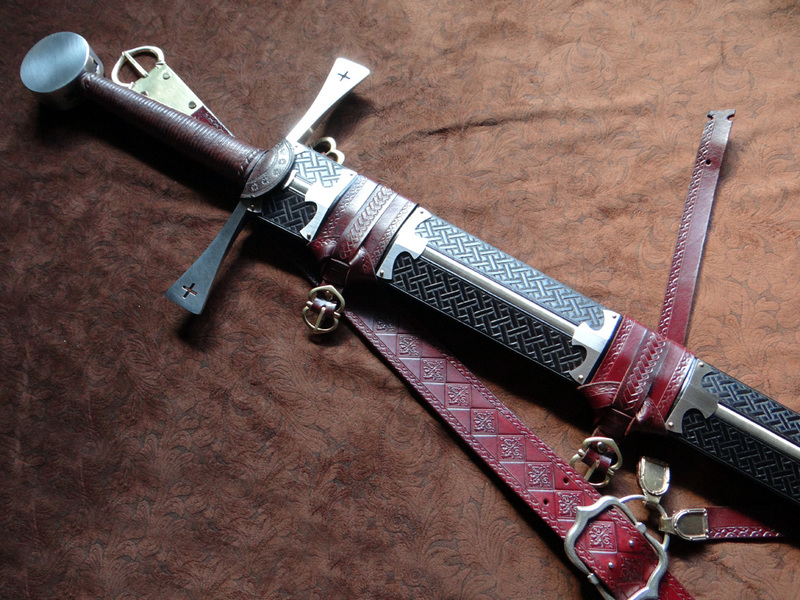 The metal strip up the middle was a client requested feature to the scabbard, to which I brought his vision to life. 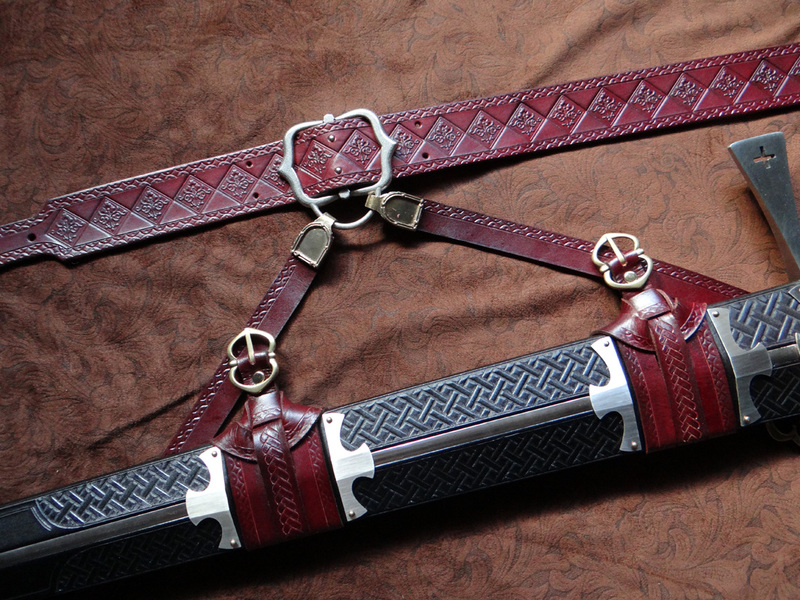 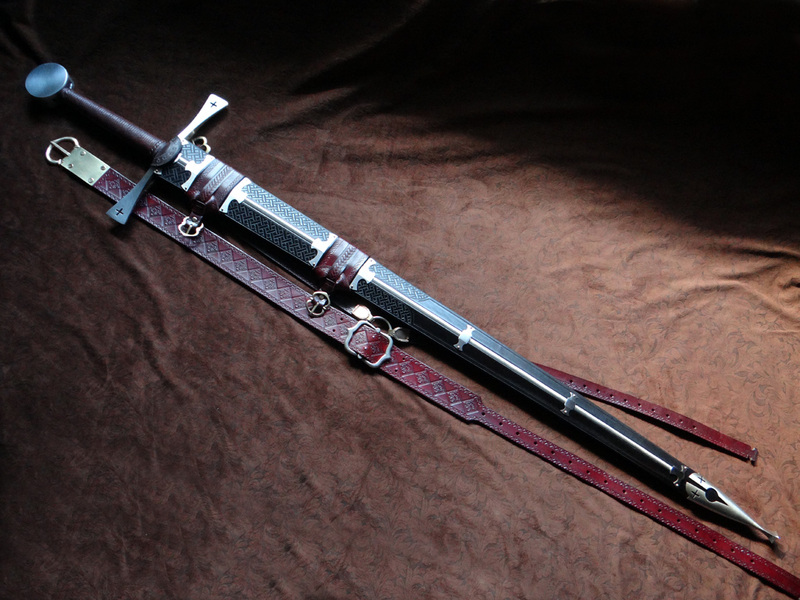 Colored in a mahogany harness & black scabbard, the tooling is meant to be eye catching with the light but not to detract from the metalwork which is the main attraction to the scabbard. 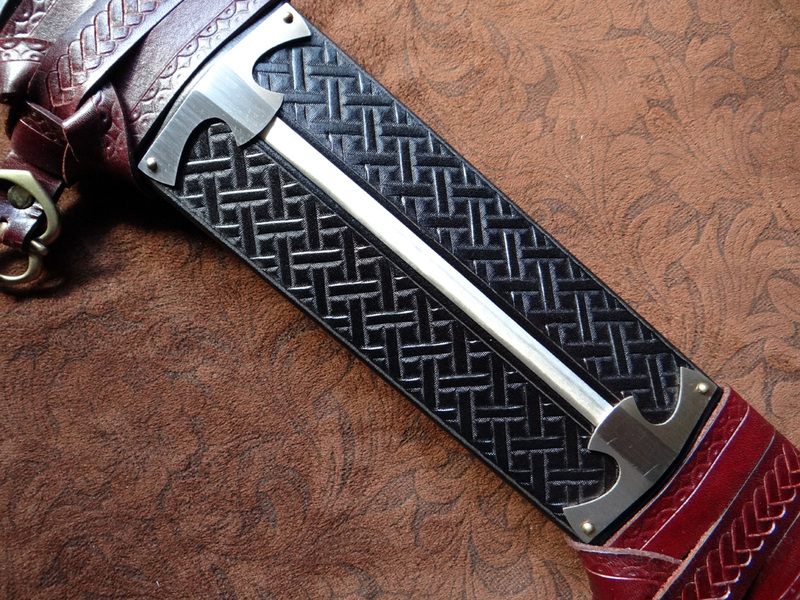 The metal strip is polished to a highly reflective sheen to catch the most light, while the metal brackets are polished to a satin matte finish to create some contrast between the metals.